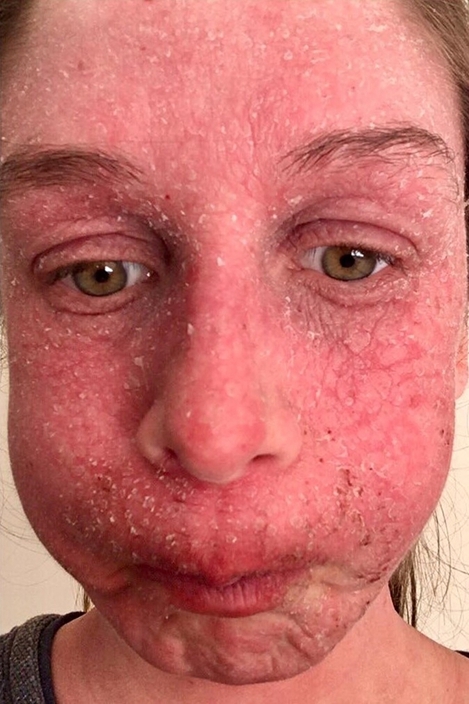 Gemma Day’s skin ended up addicted to the steroid cream she’d used to treat her extreme eczema – prompting a horrifying reaction. 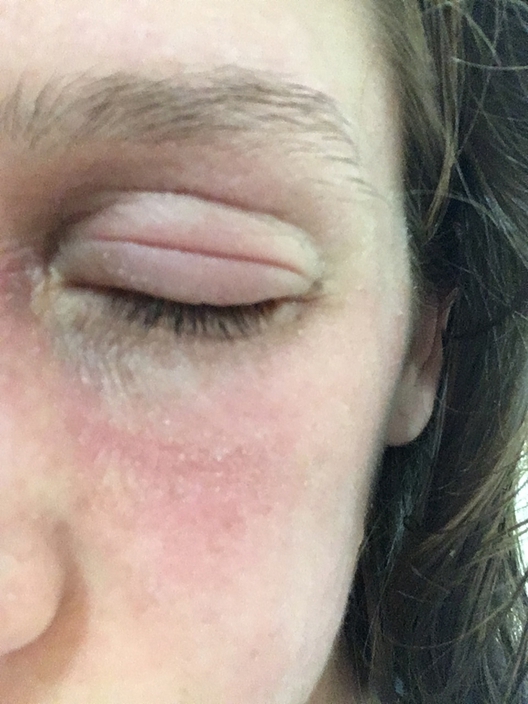 Plagued by extreme eczema, an office administrator relived her horror when she woke a week before her wedding with her eyes swollen shut – later discovering her skin was addicted to steroid cream. When Gemma Day ditched the ointment – known to thin the skin – which she had started using as a teenager to temper her angry condition, the withdrawals were even worse than the eczema. 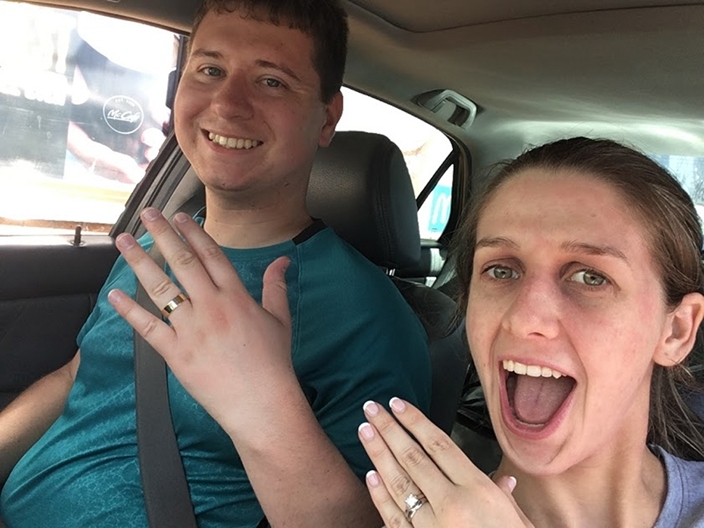 Gemma, 24, of Toowoomba, Queensland, Australia, said: “I had to cave in and use more steroid cream to calm everything down before my wedding. “Eczema dictates all the big events in my life, which doesn’t seem fair. I can’t even wear make-up. I’ve only used it 10 times in the past five years, but did manage to wear it on my wedding day. Born with eczema – a condition causing the skin to become itchy, raw, red, dry and cracked – Gemma had it under control as a young child, but when she hit 13, things changed. 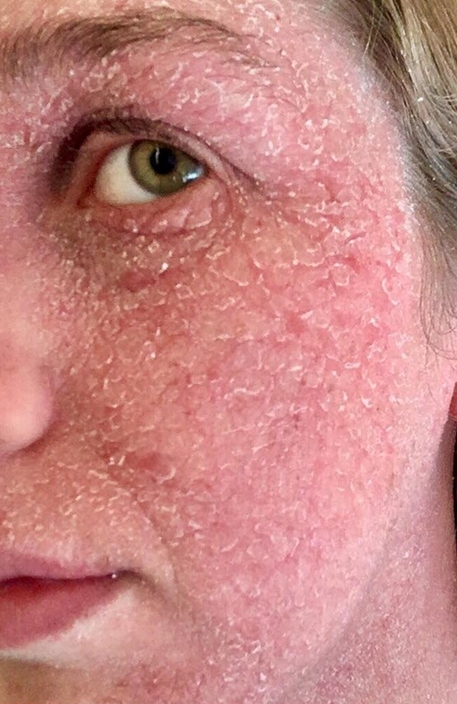 “What had been small patches of dry skin started to spread across my body and slowly, over the years, it covered almost every patch of skin, covering my entire body,” Gemma said. After visiting her doctor in her teens – who suspected her condition had worsened because of school stress – Gemma was prescribed steroid cream to help ease her discomfort. 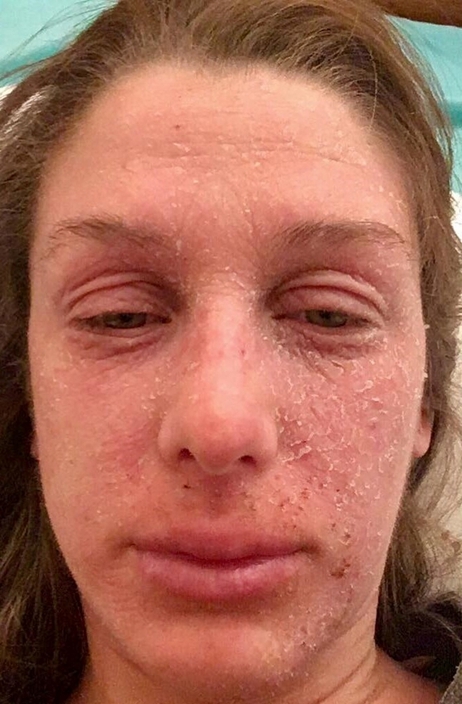 But she found that as soon as she stopped using the creams, her skin went into what she later discovered was topical steroid withdrawal – leaving it dry, red and burning, with the redness spreading even more. 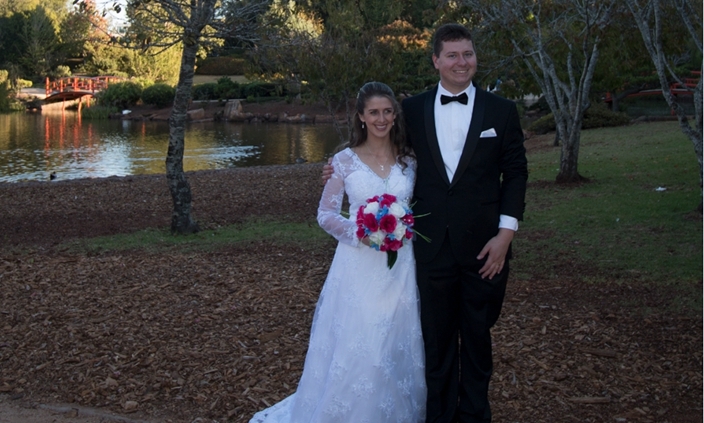 And a week before her wedding at the Japanese Gardens in Toowoomba, her withdrawals were so extreme she could not open her eyes and had to go back to using the steroids in order to function. Visiting her GP, Gemma was given steroids creams again, just to get her through her wedding and honeymoon to the UK. 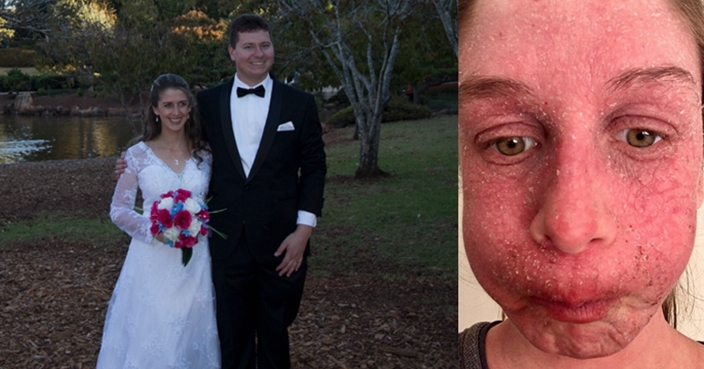 Even before this happened, she had planned her big day around her eczema. 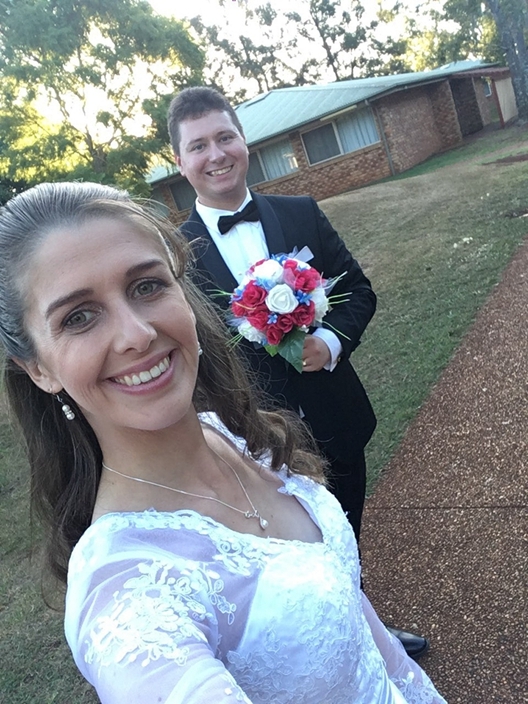 “Autumn is the best time of year for my eczema, so there was no question – we would be getting married in the Australian Autumn season, which is March to May,” she explained. When the pair, who met online, finally tied the knot on April 14, Gemma says it was the best day of her life, but regrets the hold her eczema had over her. She said: “It was only after my wedding that I realised I had been addicted to steroid cream because of how much my skin flared up when I wasn’t using the treatment.